Nearly 140 high school seniors from across Tennessee returned last week from the 2016 Washington Youth Tour. The popular event included sightseeing, visits with elected officials and lots of fun meeting peers from across Tennessee and the nation. Delegates earned their spots on the Youth Tour for writing winning short stories titled “Electric Cooperatives: Powering Everyday Life.” In their winning entries, the talented young writers described how member-owned, nonprofit electric co-ops strengthen their local communities and improve lives across their service areas while providing safe, reliable, affordable energy. For more than 50 years, the Washington Youth Tour has taken students from electric co-op service areas to our nation’s capital to learn more about our country and the cooperative business model. The annual event is coordinated by local electric cooperatives, the Tennessee Electric Cooperative Association and National Rural Electric Cooperative Association (NRECA). This year’s Youth Tour involved 1,700 students from 43 states. On their 2016 visit, Tennessee’s Youth Tour delegates saw the White House and memorials to past presidents Thomas Jefferson, Abraham Lincoln and Franklin Delano Roosevelt as well as monuments honoring the sacrifices of veterans of World War II and the Vietnam and Korean Wars. During visits to the museums of the Smithsonian Institution, the touring Tennesseans saw and experienced natural, historical and artistic treasures. Other fun stops included historic homes of former presidents — George Washington’s Mount Vernon and Jefferson’s Monticello — as well as Madame Tussauds Wax Museum, the Hard Rock Cafe and a boat cruise down the Potomac River. 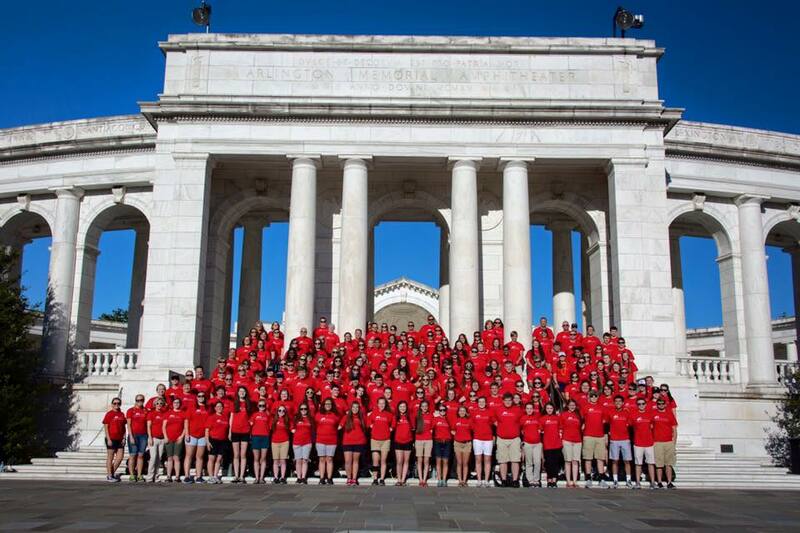 Among other Youth Tour highlights were a solemn and sobering visit to Arlington National Cemetery where the group laid a wreath at the Tomb of the Unknowns and a stirring Sunset Parade performance by the U.S. Marine Drum and Bugle Corps and Marine Corps Silent Drill Platoon. The group was welcomed to the U.S. Capitol by Sens. Lamar Alexander and Bob Corker and members of the Tennessee Congressional delegation who posed for photos and answered questions. Hope Kelley from Meriwether Lewis Electric Cooperative, Katie Torrance from Volunteer Energy Cooperative and Kaitlyn Springer from Sequachee Valley Electric Cooperative were awarded $3,000, $2,000 and $1,000 Robert McCarty Memorial Scholarships for having the first, second and third place papers of the more than 10,000 papers submitted across the state. 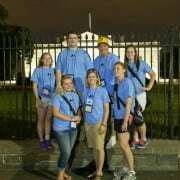 McCarty was an employee of Volunteer Energy Cooperative and long-time chaperone on the annual youth tour. McCarty lost a battle with cancer in 2015, and sponsoring cooperatives renamed the scholarship in honor of his love for young people. Megan Lewis, a senior from Tri-State Electric Membership Corporation, was awarded the $10,000 Cooperative Youth Ambassador Scholarship. Lewis was a 2015 delegate of the Washington Youth Tour. In the year following the tour, delegates who remained engaged with their sponsoring cooperative and completed certain community service requirements were eligible for the scholarship. Lewis’s name was randomly selected from among the 70 delegates from across the state who completed the requirements.